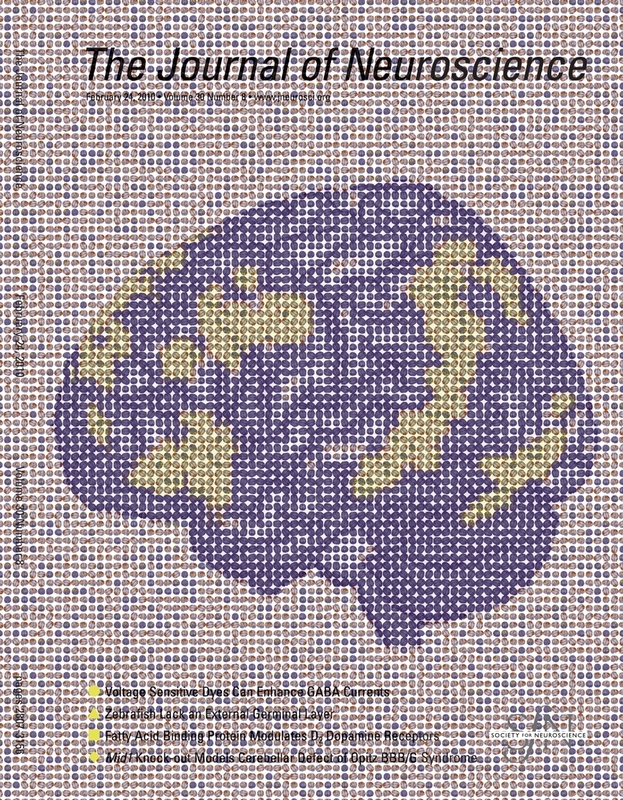 This week, as well as being published in the Journal of Neuroscience (see here), our article-related artwork was also chosen to go on the cover of the journal. When I was trying to think of something we could submit as a cover, I initially thought of trying to create a photo-mosaic of our key activation using the raw, mosaic images from the scanner. That didn’t work out so well, largely because there is very little that differentiates one image from another amongst the thousands of mosaics that are gathered over the course of a single scan – they’re all grey, fuzzy and extremely boring to look at. So, I tried it using renderings of the key activation viewed from different angles, and rendered in slightly different shades of red/orange/yellow, and it didn’t look too bad at all. In order to do this, I used Steffen Schirmer’s Photo-Mosaik-Edda software. It’s a wonderful program that’s pretty easy to use and extremely customisable and I was pleasantly surprised to find out that I could produce very high quality images (e.g. suitable for printing as a magazine cover) using the built-in settings. I simply built a library of images which would act as the tiles of the mosaic and, then selected the image that I wanted the mosaic to represent. In order to create the tiles, I used the indispensable MRIcron by Chris Rorden, and to get the size and layout of the larger image that I wanted, I simply messed about with one of the images in GIMP (I also relied heavily on both of these pieces of software to make the figures in the manuscript itself presentable). I’m keen on the image because I hope it still captures some of the essence of what I was trying to get at – that in fMRI research we use tonnes and tonnes of data to create the pretty pictures that make it all intelligible. Admittedly, it is pretty hard to make out the text on the cover of the Journal, but I’m glad that whoever saw fit to use the image was happy to take a hit on that front in order to use the image.